The NSW government has announced it will propose legislation for protecting and reviving NSW Aboriginal languages. NSW Aboriginal languages are part of the heritage of NSW Aboriginal people, and part of Australia’s heritage. Recognising this should lead to greater understanding of the people and history of different parts of NSW, to greater respect for Aboriginal people, and, in turn more reconciliation between Aboriginal and non-Aboriginal people. But protecting and reviving languages is no easy task. Here are a few things to consider. NSW has a lot of languages. There are at least 35 distinct languages, and many of those languages have different dialects. For many of these languages, only a few words have been handed down. The last few years have seen activity in mining archives and libraries for these words. But it takes considerable practice to interpret how a word should be pronounced from reading the old spellings, and comparing them with other word-lists and what is known of closely related languages. The next step is to interpret the sentence structure and reconstruct the grammar of the language. Muurrbay Aboriginal Language and Culture Co-operative (Nambucca Heads) have done outstanding work in working with linguists to create short grammars for some of the 35 languages. As it stands, only a few languages (eg Bundjalung, Gumbaynggirr, Muruwari, Paakantyi, Wiradjuri, Yandruwandha, Yuwaalaraay/Gamilaraay) currently have enough material in a useable form for adults to begin learning the languages. NSW Aborigines bore the brunt of first settlement, and so it is sad, but unsurprising, that NSW no longer has communities where children grow up speaking a traditional Aboriginal language every day. And many Aboriginal people in NSW live away from their traditional country. This has major consequences for reviving the languages. The first step is for enough adults to learn the languages, so that they can help the children learn the languages. Revitalising a language needs first and foremost the interest and engagement of the community. This is the easy part. Then it needs teachers, a staged curriculum and resources, for children and for adults. Here, it is all too easy for things to go wrong, and for communities to be deeply disappointed. We simply don’t have enough teachers who speak NSW Indigenous languages to cover all the schools in all the communities where people want to revitalise their languages. This was identified as a major problem in a recent national workshop hosted by First Languages Australia. There are local initiatives to learn languages, but whereas German and French teachers would be expected to have university-level qualifications in the language, only two NSW languages, Gamilaraay and Wiradjuri, are offered at university level. 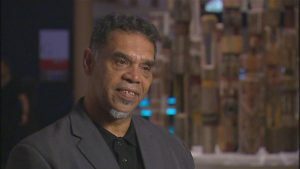 Little training in language teaching methods is available – the University of Sydney offers a Masters of Indigenous Language Education for trained teachers, but there aren’t enough trained teachers who are Aboriginal in the first place. 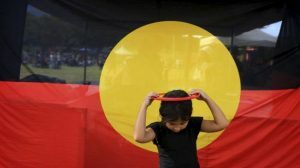 NSW could consider the model offered by Western Australia, where the state education department offers a course especially designed for Indigenous people who want to teach their own language. Successful completion allows them to apply for a limited authority to teach the languages. Once we have the teachers, we need back-up and succession planning. Programs often flounder when a brilliant teacher gets sick or retires. So one teacher per school is not enough. Teachers need a framework for teaching languages. 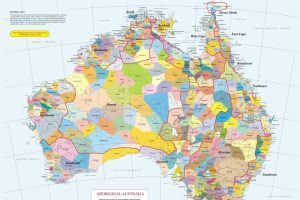 A generic curriculum for teaching Indigenous languages, with a pathway for language revitalisation programs, has been developed through the Australian Curriculum, Assessment and Reporting Authority (ACARA). That curriculum needs fleshing out for each language, and that will take time, as teachers need first to understand the grammar and vocabulary of the language, and then break it down into learnable lessons that build up logically. Lastly, teaching a language needs lesson plans and activities that engage learners. Languages such as French and German have vast numbers of accessible, beautiful and exciting learning materials. They are the products of many years’ experience and of a very large market. Only a few Indigenous languages in NSW have teaching resources like Yuwaalaraay and Gamilaraay. NSW will have to be very clever in sharing and creating re-usable resources. Unfortunately Australia has a dreadful track record in wasting money on well-meant but ill-thought-out projects. For example, in 2003, the Federal Department of Communications, Information Technology and the Arts spent nearly half a million dollars on paying a developer (Multilocus) to build language learning programs for five Indigenous languages. No one appears to have done an evaluation of the effectiveness of the CDs as a learning/teaching aid. The software was not open source, was not updated, and appears to exist now only as archived relic CDs, one of which contains no more than 230 words. That’s a lot of dollars per word. That’s why we need the accountability framework that is proposed. And we need one that has teeth. The state government has taken an important first step in recognising NSW Aboriginal languages. Reviving the languages will be a giant step.